More than a humble dish towel, this lovely linen-cotton towel will enliven any kitchen or dining room while serving, wrapping, protecting or simply adding a bit of style. PLEASE NOTE: Last day to order for pre-Christmas delivery is Tuesday, December 18, 2018 and shipped on Wednesday, December 19, 2018 (standard USPS only). Orders placed after 12/18/18 will ship in the new year on 1/2/2019. 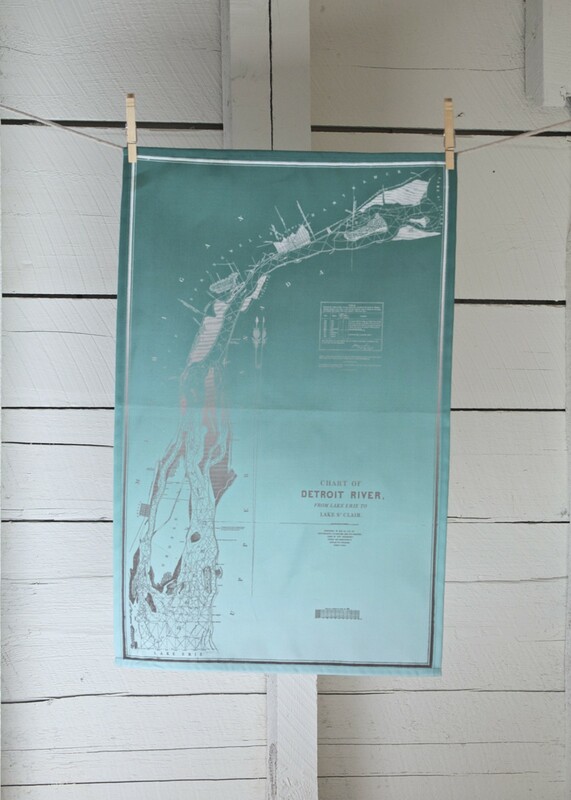 A Salt Labs' original and unique design, the tea towel is beautifully hand made in Michigan and digitally-printed iin the USA using sustainable materials and processes. * approx. size: 18" x 27"
Salt Labs' designs are based on vintage maps or charts and reflect the inherent character and charm of their historic origins.